Earlier this year Stevie and I took the Duchess on a road trip to the Oregon Coast. We were accompanied by a couple friends and their son who is the Duchess's age. We rented a van and drove all the way to the coast and back. If you'd like to read about the trip and what I learned, you can read about it here: Dad's Guide to Road Trips with Toddlers. And I'm not even kidding, less than an hour later they replied. So there it was. Lead free ink means I shouldn't have been washing it in the dishwasher. I don't remember if I was warned at the gift shop, but I'm going to assume that I was. I don't recall there being a sticker either, but honestly, there could have been. So it was probably my fault. But they didn't care. They made it right, by two! Much better shirt than the one that was stained. P.S. 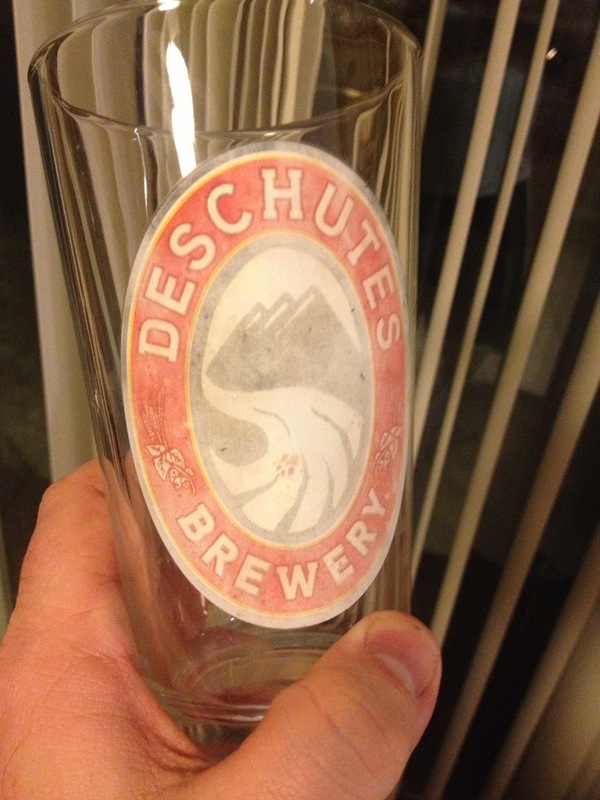 Deschutes, If you are reading this, I promise to only hand-wash my awesome, new lead ink free pint glasses from now on!! Awesome to hear stories like this. Thankfully, outside of a few breweries I think everyone probably knows about by now, they are quite common. I also think the faded glass looks pretty cool, but hey that's just me. 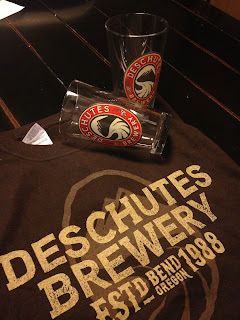 Deschutes is a great beer and a great brewery. I think it might be hard in the craft beer world to be too into yourselves NOT to consider customer service. Great beer is hard to make, but people don't want to buy things from assholes. The craft beer industry is like that, it's all about making great beer, and making the customer so happy (s)he comes back to buy more. Here on the east coast we don't get Deschutes :( but we do have a local brewery, Wormtown Brewing that makes really great beer. I know the head brewer, he was in my homebrew club. This made me happy! Maybe I'll see if I can get some of that beer for my big gay wedding in April! They also have a chipotle beer of sorts and it's delicious!